Coca cola, the most celebrated soft drink in the world needs no introduction. Since the first sale that went on 8th May 1886 it has come a long way, all thanks to its inventor Mr. John Pemberton. The brand coca cola has always been associated with the feeling of being happy and with the current advertisement campaign doing stir it is getting stronger. Well, today we aren’t talking just about the brand coca cola but about the history, the culture and the celebration called coca cola. 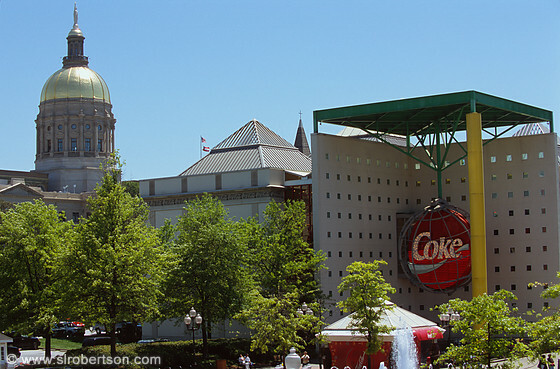 We are going to talk a little or more about the fascinating coca cola museum located at Atlanta(that’s where the headquarter is). If you are yet to visit this knowledge rich place then here is your chance to know why it is one of the most visited places in Atlanta and after you are done with this article, may be you are tempted to visit the “World Of Happiness” soon. The museum is called as “World of Happiness” and originally was located at 55 Martin Luther King Jr. It opened in 1991 and was functional for 16 long years and attracted around 9 million visitors yearly. It was Atlanta’s most visited indoor attraction. But eventually a need to get a bigger space to display more memorabilia was felt and with this opened the new ‘World Of Happiness’ on May 24, 2007. This inviting and dynamic place has on its display the wonderful artifacts related to Coca cola and the other artwork. When you are here time flies, people spend as much as 2 hours gazing at the old advertisements and other exhibits on display. The place is fun filled, knowledge enhancer with a great chance to explore the place in the form of the multimedia, videos and various ads on display, collectibles; hoarded over the years depicting the lively history of the coca cola. The intriguing experience to watch the movie “In search of the secret formula” in 4D is something one can’t describe in words. The moving seats along with the marvelous special effects will do wonders and send your senses to a different level. If you are not comfortable you can move to the non-moving seats too. The sculptors were created during the 1966 Olympics as a part of the coming together of different cultures when artists from countries like Argentina, China, New Zealand, Portugal, Uzbekistan, South Africa and the United States beautifully created the piece of work that portrayed their country’s culture and tradition. You will also find the sneak peak video of world of coca cola experience. The historical artefacts related to the brand can be seen here. The artefacts will take you back to the coca cola memories of around 100 years. You can see as many as 30 countries represented in the loft. The famous advertisements, the coca cola syrup from 1886, beach pants and more can be experienced here. Get acquainted with the history of the secret formula as how it was invented, the myths associated with it and how even today the formula is one of the secret treasures coca cola has maintained to keep up. Enjoy the fun of making your own taste with the help of virtual taste maker and you can even compare it with the perfect taste of the coca cola. This is a mini bottling plant where you can experience the joy of seeing how the bottling is done. Perhaps the fully operated plant is slowed down a little to allow the visitors to have a clear picture about what’s going on and how it is done. The robotic delivery system delivers it upstairs only to get a bottle of it as you exit. Oh! Finally something that is absolutely stunning. At the ‘taste it’ exhibit you get the chance to sample over 60 different types of coca cola from around the world. Also, the self-serve machine lets you taste around 100 carbonated and non-carbonated beverages produced by the company. The cutest thing to do is to get a picture with the iconic polar bear that has been associated with the brand for number of years. You can take the picture from your camera or can ask the image specialist there to do the needful. As you exit you get a free bottle of the coca cola (remember the robots delivered it upstairs! Well, that’s where it came from). There is also a gift shop in the vicinity from where you can buy all sorts of souvenirs as you bid good bye to the “World Of Happiness with plenty of memories to cherish for lifetime. *It is suggested that before planning to visit the place please do check the hours of operation (it is closed on thanksgiving and Christmas but hours of operation may vary). Prior reservation is not needed but you can book tickets online with variety of ticket options to choose from. Yellowstone National Park- Geysers, Wildlife and Adventures!